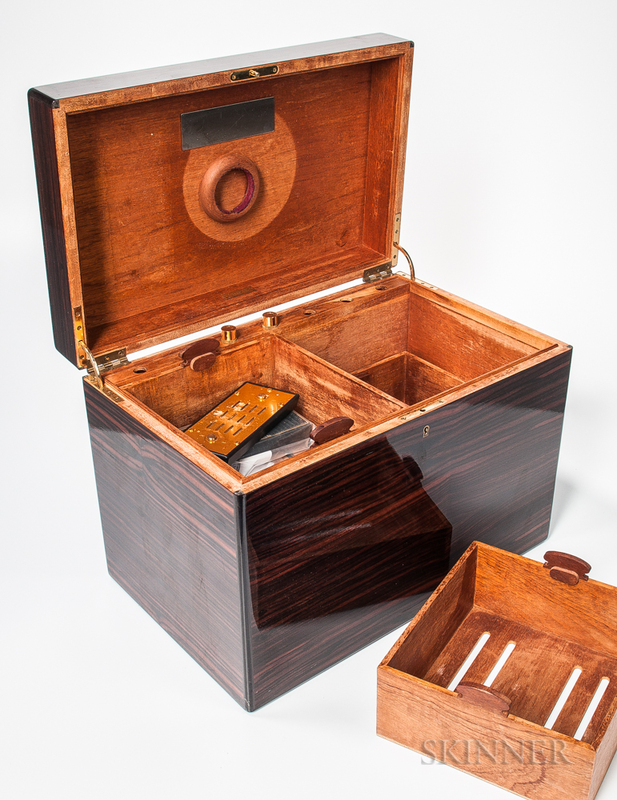 Large Cigar Humidor, Nat Sherman, New York, 20th century, the exotic wood veneered box opens to four removable trays, marked on the inside of the lid, ht. 13 1/2, wd. 19, dp. 12 in. Provenance: Purchased by the consignor from Davidoff of Geneva in New York.